Corrupt politicians and petroleum interests have conspired to kill a remote community of indigenous Venezuelans. It sure is food for thought the next time Joe Kennedy offers you some free heating oil. 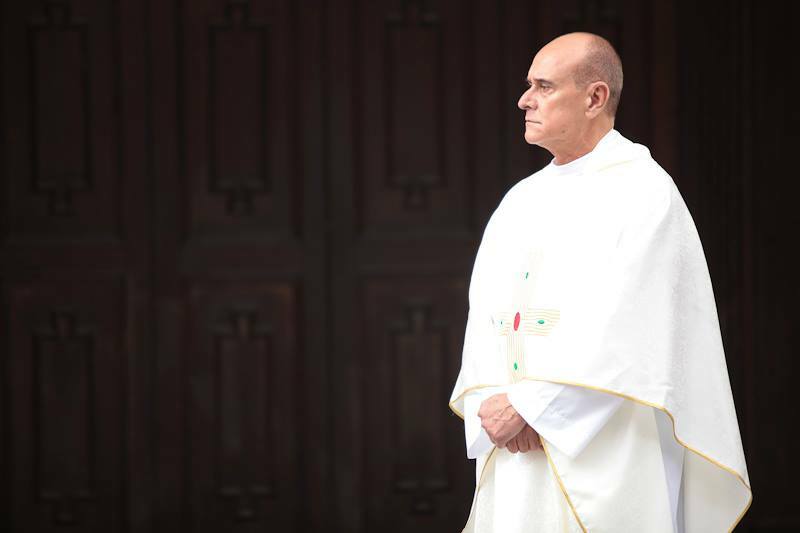 Regardless, a renegade cop and a priest taking confession will learn the truth about the nefarious business, but their responses will be drastically different in Henry Rivero’s Seal of Confession (trailer here), which was scheduled to screen as part of the upcoming Venezuelan Film Festival in New York, but now appears to have been dropped. Be that as it may, Humberto Restrepo has more than enough anger management issues to get him suspended. If they also knew he had regular visions of his dead copper father that would probably spell the end of his career. Technically, his career on the force is already kaput, but that is because he accepted an off-the-books, deep cover assignment infiltrating a group of paramilitary vigilantes, who also do the bidding of the crooked Sen. Ruiz. However, for the real heavy lifting, Ruiz sends in Enrique, the hitman’s hitman. On a lark, the contract killer wanders into the confessional of Ruiz’s brother, Father Juan. He has plenty to confess, but his confession is probably not sincere. Despite the title, he will not leave Father Juan to wrestle with his vows, like Montgomery Clift in I Confess. If anyone is taking down the Senator, it will be Restrepo, or possibly the guilt-wracked, emotionally imploding politician himself. Let’s be frank, Seal is just okay at best. Rivero introduces scores of extraneous characters, whom he awkwardly marches in and out of the narrative. Nor is it ever clear how “real” we should consider the scenes with Restrepo and his father’s ghost. However, Luigi Sciamanna is legitimately terrific as Sen. Ruiz and that sort of remorseful, angst-ridden villain is a relatively original character type. Jorge Cao also plays Father Juan with refreshing dignity and looks like a convincing Ruiz sibling. Marlon Moreno’s cold-blooded vibe works well enough for the ruthless Enrique, but poor Juan Pablo Raba seems to be hiding in Restrepo’s rum bottles. He is way too sullen and reserved for a hardboiled leading role. So yes, Seal is a real hodge-podge of a film. Rivero largely loses control of the proceedings, but at least he maintains a consistently dark and cynical tone. Sciamanna and Cao also give us something to watch, even when everything around them hardly makes any sense. It’s a head-shaker at times, which maybe explains why it disappeared from the line-up of the this year's Venezuelan Film Festival in New York.